Testing your student’s theoretical and practical knowledge is an important part of making sure that the content you are teaching is being fully understood. Online or offline, here is a hand-picked selection of resources that will help you find out how your classes are progressing, as well as highlighting any crucial gaps in knowledge. 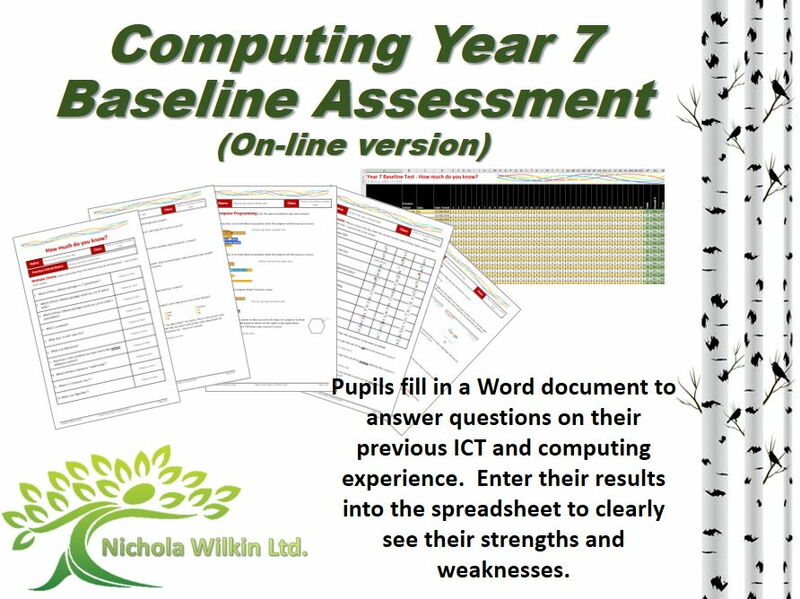 Discover how much your students know already with this online baseline assessment, examining a range of key skills in Word, Excel and PowerPoint, while also testing knowledge of programming, e-safety and computer theory. This easy-to-use drag and drop quiz is also ideal when gauging your class’ awareness of hardware. For a more engaging challenge, check learners’ understanding of Excel spreadsheets using this birthday party task, designed to test students' ability to create functions and formulas. Alternatively, recap programming concepts in Scratch before putting pupils’ knowledge to the test with this visual lesson. This test is to be given to year 7 pupils to test their current knowledge of key computing areas. This will help you understand their current strengths and weaknesses at the beginning of year 7 and includes a useful spreadsheet which not only highlights pupils understanding but also groups it by class and even primary school to help you inform your feeder schools which areas they need to work on and may need additional help with and which areas they have covered well. The key skills covered in this test are: Word, Excel, PowerPoint, saving files, programming, using the internet, e-safety and computer theory. Due to popular demand, I have interpreted the marks awarded to the old-style level descriptors (i.e. if they score 30 on the test or 45%, this would be equivalent to a 4C). Hope this helps. Quiz to assess learners’ hardware knowledge, created in Word 2007; it may work in other versions but not on Macs. Macros must be enabled for the program to automatically mark the answers & print the learner's first attempt. Please leave feedback. If you have any problems send a message via TES site. Screenshots provided in the Word document in case you are not using the offline editor Scratch 2. Test the extent of your pupils’ knowledge with this simple assessment before encouraging them to improve upon their longer, written answers with this selection of practice questions, complete with example responses. Older learners can check their understanding by answering this editable progress test, which contains a mixture of questions that cover topics from application packages to software distribution. Or, for a more subtle assessment, this crossword puzzle with over 80 clues can quickly show if your A-level students remember all the common terms and concepts that are essential for their studies. 46 mark progress test suitable for year 10 or year 11 computer science students. Covers hardware, embedded systems, algorithms, algorithmic thinking, abstraction, decomposition, CPU, RAM etc. No mark scheme just the paper. This resource has some made up long questions to help students practice long answer questions for the R001 exam. May not be error free but might help with exam prep. Test suitable for year 12 students to check progress or as a revision aid. There is an editable word document to allow you to customize the content/layout if you like and a .pdf file to use straight away. There is a mix of questions including a longer question at the end to test QWC. It is out of 35 marks and is designed to take 45 minutes. Covers the use of folders, application packages, generic software, use of word processing software, software distribution and a 14 mark question on presentation methods, devices and media. Over 80 clues to test knowledge of common terms and concepts in information technology, suitable for A level/level 3.